A new feature? A new feature?! A FRIGGIN NEW FEATURE?!!? The Indie Blender is starting a new feature. Normally, we tend to focus on upcoming or new-ish releases from your favourite and our favourite independent artists. However, let us not forget about the gems of yesterday the way you forgot your mom’s birthday (sorry mom) . So now we introduce Records Revisited, where we revisit records…..Gawd that’s clever..
Let’s kick it off with a personal favourite that turned 10 years old last month, and unlike your 10 year old step brother that keeps saving his file over yours on the PS3, this record’s still fun to hang out with. I could go on and on about this album, but we both know you’re lazy and probably have ADD or something so you’re not going to read this whole review. BEFORE YOU GO, there is one thing I want to mention: the lyrics. 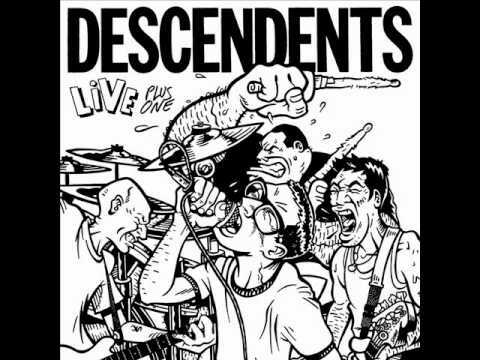 Descendents lyrics have always captivated me, they are brutally honest and so easy to relate to. 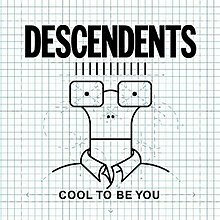 Take a listen to the title track Cool To Be You, written by their bassist Karl. Karl shares his insights about growing up as an outsider, talking about the “popular kids” and how he doesn’t understand what it is like to belong. Even going as far as to talk about his family problems. Real, honest, real honest, ya dig?